An historic Minnesota bridge has begun its third life in 134 years as part of the Gateway Trail between the city of Grant and Stillwater Township. 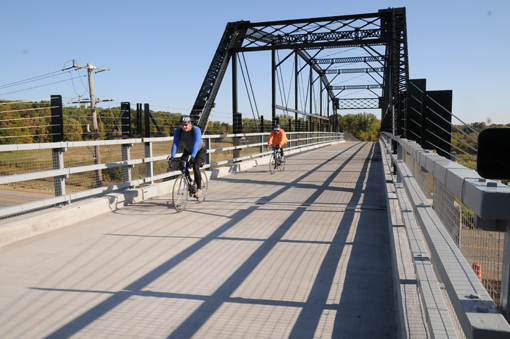 The bridge will now serve bikers, hikers, rollerbladers and horseback riders crossing Washington County 15 (Manning Avenue) on the popular East Metro state trail. This isn’t your run-of-the-mill span. This bridge has been around the state and has a few stories. 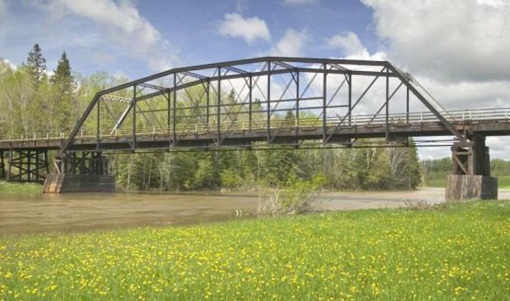 The historic 378-foot Silverdale Bridge was born in Sauk Centre in 1877. 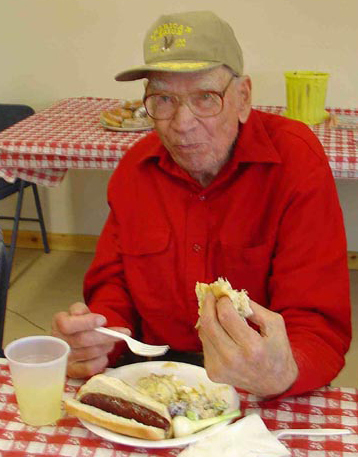 It was constructed as a wood-deck, wrought iron truss bridge across Main Street in Sauk Centre. In 1937, it was dismantled and moved up north to serve as a Minnesota Highway 65 crossing over the Little Fork River in southeastern Koochiching County near the town of Silverdale. Traffic loads that included heavy logging trucks eventually became too much for the old bridge and it was replaced and dismantled once more in 2009. The Silverdale Bridge spanned the Little Fork River in Koochiching County. Like the historic Stillwater lift bridge, the Silverdale Bridge is on the National Register of Historic Places. 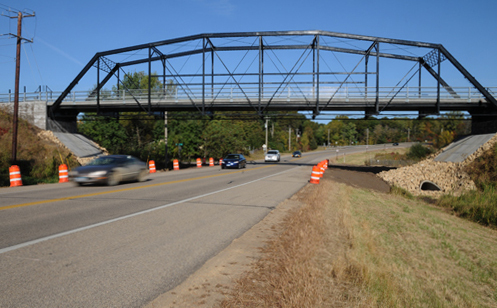 It was listed there in 1998, and is one of 24 bridges on the Minnesota Department of Transportation’s (MnDOT) list of historic bridges to preserve. Also, like the more famous lift bridge over the St. Croix River, the Silverdale Bridge is what is known as a “camelback-through-truss” design. Its wrought-iron construction is much less susceptible to rusting than steel, which explains its longevity. Officially called Bridge No. 5721 in MnDOT parlance, the Silverdale Bridge also has been called the Zeleznikar Bridge, named for local Silverdale resident Louis Zeleznikar, who lived on the Little Fork River and died in 2007. The Silverdale Bridge was scanned using laser survey equipment to measure the geometric properties of each member (check out this cool video) and moved to Maplewood, where it remained in storage until this year. MnDOT began construction of earthen ramps on either side of Washington County 15 north of MN 96 in August 2009. Old Bridge No. 5721 was rehabilitated, reconstructed on-site and set on concrete abutments built into the berms on May 20. A new concrete deck was poured in June. Washington County paid $100,000 of the approximately $2.8 million cost for relocating the bridge. Bikers, hikers and horseback riders no longer have to risk life and limb crossing Washington County 15, which some motorists apparently mistake for I-35. The bridge was opened to nonmotorized, pedestrian and equestrian traffic in September. Its 18-foot width easily accommodates three lanes of “traffic” high above the speeding motorists on County 15 below. That’s not the only good news for Washington County bikers and hikers. Work is beginning on the Brown’s Creek State Trail, which will connect the Gateway Trail at its junction with MN 96 to the St. Croix National Scenic Riverway in Stillwater. The 6.5-mile section will use the old Zephyr dinner train railroad right-of-way. Washington County kicked in $1 million toward the $4.2 million right-of-way purchase price. The state will pay for the remainder, including the cost of removing the old ties and rails, which will begin this fall. Funding for the project was in the 2011 bonding bill. The trail may be open for walking later this fall. The Department of Natural Resources will pave 2 miles of the trail next summer and the remainder as additional funds are secured. Another bridge over Manning Avenue eventually will be built for the Brown’s Creek Trail. The DNR will hold a public meeting and open house on the Brown’s Creek trail at the Stillwater Public Library October 19 from 4:30 p.m. to 7:30 p.m. Historic bridge photo courtesy of gatewaytrailmn.org. Thank you so much for great content. I much appreciate your hard work and to collect these knowledge. Please keep continue to post your useful articles. Always waiting for it. Thank you! I hope to hear more news from you. This is what I need to find.